Surrogacy Sunday: Expenses | Then there were three.. Some people may think that it doesn't cost to be pregnant as surely, the only thing that is different is that you are carrying a baby? In actual fact, pregnancy can cost quite a lot; pregnancy vitamins, fuel to get to and from hospital and midwife appointments, parking, maternity clothes, time off work due to sickness etc. Pre and post natal expenses can also add up with trips back and forth to the clinic, pre natal vitamins, childcare, hospital bags, time off work after the birth, loss of earnings from the surrogates partner after the birth and more. Typically, expenses are paid in ten per cent installments for ten months from a positive pregnancy test, although some agencies may do this differently. This does not include any pre pregnancy expenses of which should be paid before a positive test and, in some instances, before medication is taken, such as life insurance and wills. 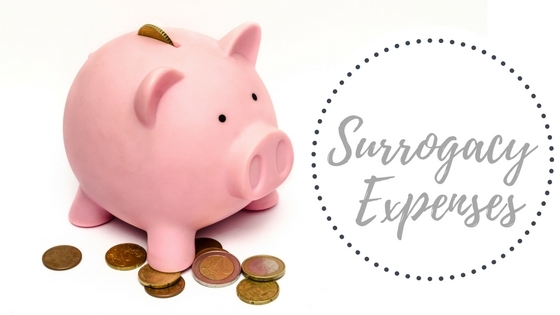 On average, a surrogates expenses can range from £7,000 to £15,000 but every situation is different and expenses should always be discussed before an agreement takes place. I hope that this information has helped answer any questions on surrogacy expenses and that people can see that surrogates do not profit from this within the UK. 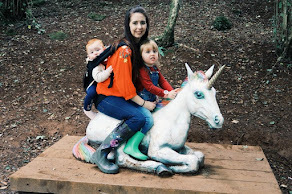 Pregnancy can be expensive and I have never thought of the expenses from a surrogate mum's point of view - very interesting to think of it from that perspective. I think so often we think that the cost comes when the baby arrives, but there are so many hidden costs in pregnancy. I was sick a lot both times, and the second time I was self employed, so the loss of earnings was huge! I had no idea it was illegal to be paid for surrogacy in this country. I had no idea of the expense either! So informative! That is such a helpful list for anyone going down this route. I didn't realise that the payment surrogates receive is for expenses. I never really thought about expenses for being pregnant. A very informative post. Thank you. This was a really interesting post. You don't realise how expensive pregnancy can be until you see it all written down! It's so interesting to read this, I knew that they could only be paid expenses, but it is incredible the amount of things that should be covered. You really don't think about it. Such an informative post, it sounds silly saying it now, but I would honestly have never thought about claiming expenses for surrogacy. When you outline it though it makes complete sense. I'm sure this will be so helpful to those looking for the info! Interesting read! Surrogacy fascinates me! Great post, who knew surrogacy could be such an expense! I genuinely had no idea! It's great that there are people who do this for others; I don't think I could! That’s so interesting! This is such a helpful article! I had never really thought about how much being pregnant actually costs. Which is a little worrying since I have two children. I am sure this will be helpful for people who are considering it. I truly had no idea about surrogate mother cost! It's great that there are people who do this for others. This is such a helpful article! Thanks for sharing!! SchemeServe has integrated customer engagement and commerce management system that lets insurance agents grow client base and control revenues. The energy and creativity of the city is integral to the school. The londonflowerschool.com will take its inspiration from London’s people, art, culture and events.